The Bakers Pride Y-600 Super Deck pizza oven has a single deck that gives pizza crust an evenly baked, crispy texture. Its stainless steel exterior is durable and convenient to keep clean, while the aluminum interior is corrosion resistant. Heat retention is ensured because the entire cabinet is insulated, and the deck is brick-lined with 2-inch-thick FibraMent™ stone. Stainless steel legs with a durable Bakertone finish provide support. Because the doors of the Bakers Pride Y-600 pizza deck oven are insulated and spring loaded, they retain heat and prevent ambient air from getting in. Its top and bottom heat dampers are independently controlled, effectively heating the pizza's crust without burning toppings. The flame diverters are heavy duty and conveniently slide out for cleaning. 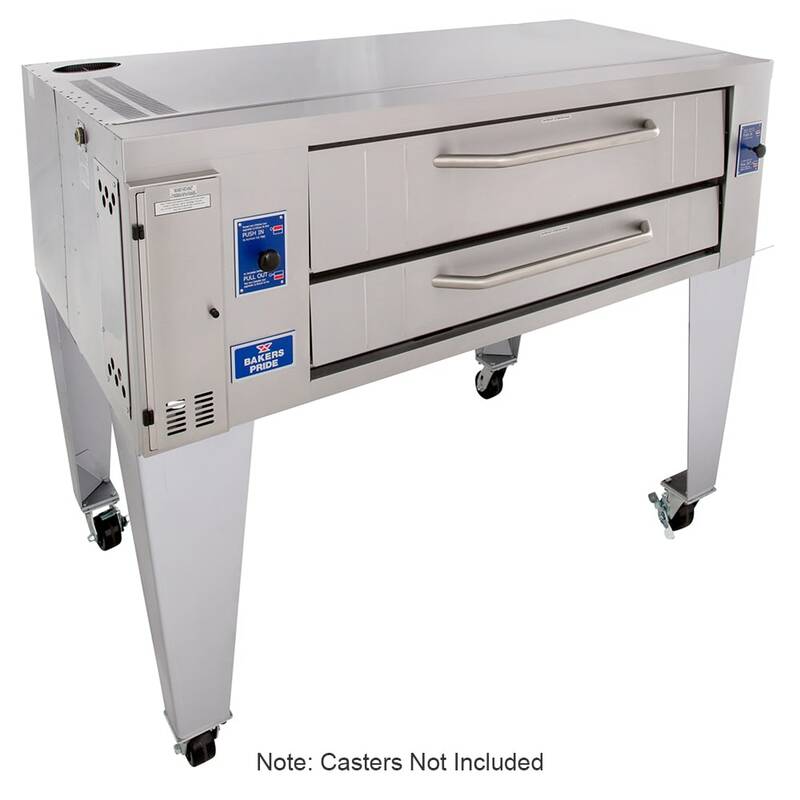 Looking for more information on pizza deck ovens? Check out this article on deck ovens.